Cartomancy is a very popular method of divination or fortune telling which is practiced using a deck of cards. Get your card for the day and find out what the day has in store for you in different aspects of your life. Daily Cartomancy horoscope helps you with this for free. The playing cards were introduced for the first time during the 14th century in Europe. The people who perform the art of Cartomancy are generally referred to either as Cartomancers or card readers. This method of divination saw the heights of popularity in the 18th, 19th and 20th century. 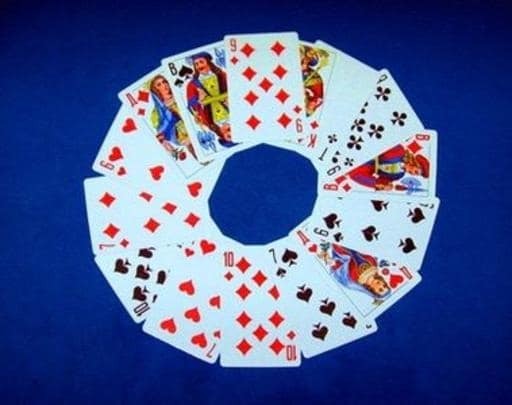 For the purposes of card divination Anglo-American Bridge or playing cards are used. In a deck there are 52 cards. Contrary to the popular opinion there is a huge difference between Cartomancy and card magic. The card magicians basically rely on tricks like stacking the deck but Cartomancy is no trick and is not practiced for fun or to create an illusion. One might say that a Cartomancer is prohibited from either stacking a deck or using any other trick like false shuffles and cuts. Playing cards from its inception till the time it got popularity has had a tumultuous history. However this goes without saying that Playing cards have been an important part of the history. There was some dispute concerned with the manner in which the playing cards initially originated. It is known that China was the place where paper was invented hence many people are convinced that this is the place where the cards were made. As a matter of fact there are strong proofs suggesting that “domino cards” were being played in China. However the domino cards are not at all similar to present day cards. There are many experts from whom people can take advice on daily Cartomancy. However fact of the matter is most of these experts are unusually expensive and difficult to approach. In addition to this the predictions and readings of most the Cartomancers cannot be trusted upon. For people who are firm believers of Cartomancy and depend on its reading for everything they do, the accuracy of reading is very important. The card for the day presented over here helps solve this problem. Not only is this calculator free to use and could be used from the comfort of your home but its readings are accurate and this fact could be checked from the reviews. A detailed analysis by the tool presented over here tells the user the name of the Cartomancy card drawn out for him or her. In addition to this the report also contains the keywords and an interpretation and effect of the card drawn. Thus everyone should try using this daily horoscope at least once and get to know how their day is going to be and what can they do to make it better. Previous What Is Color Numerology?